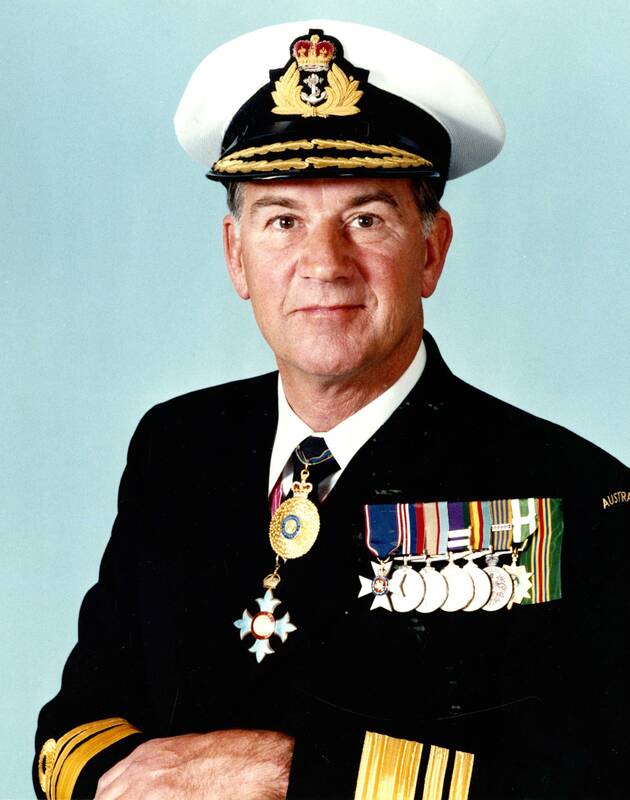 Vice Admiral David Willoughby Leach AC, CBE, LVO served as Chief of the Naval Staff from 1982 to 1985. Leach was born on 17 July 1928 in Perth, Western Australia. At the age of thirteen he entered the Royal Australian Naval College in January 1942. During his time at the college he was appointed Chief Cadet Captain and was awarded the King's Gold Medal. In 1946-47 Leach served in Royal Navy ships attached to the British Pacific Fleet before completing his Sub Lieutenant courses in the United Kingdom in 1948. When he returned to Australia he served in HMA Ships Australia, Murchison and Arunta and in 1960-61, after specialising in gunnery, he served in the RAN flagship HMAS Melbourne as the Fleet Gunnery Officer. 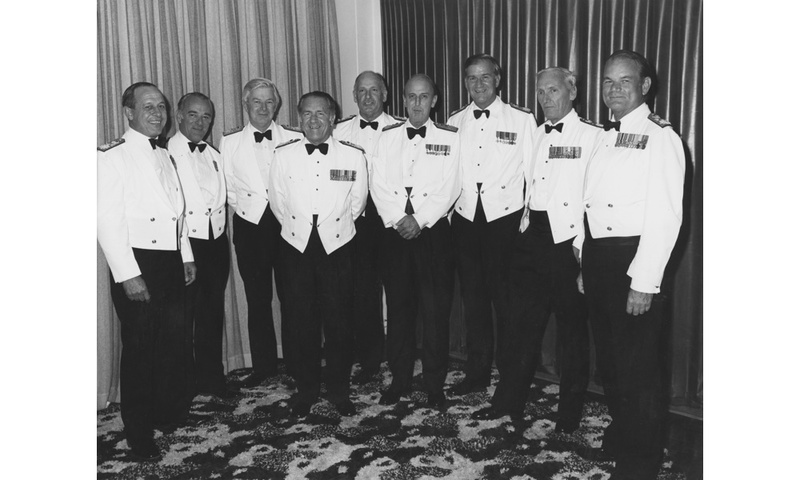 Command appointments followed in HMAS Vendetta with the Far East Strategic Reserve and as the captain of HMAS Perth during her second deployment to the Vietnam War between September 1968 and April 1969. This deployment earned Perth a US Meritorious Unit Citation which was presented to the ship by the US Ambassador Mr WL Rice on 28 August 1970. In recognition of his personal distinguished service and devotion to duty in the presence of the enemy during Perth's deployment, Leach was appointed a Commander of the Order of the British Empire. In 1970 he was appointed a Lieutenant of the Royal Victorian Order in recognition of his contribution to the succussful 1970 Royal Visit to Australia. Promoted Commodore in 1975 Leach seved in Navy Office, Canberra, as the Director of Naval Plans, Director General of Naval Operational Requirements, Chief of Naval Materiel and Chief of Naval Personnel. Other notable postings included the Australian Naval Representative in the United Kingdom (1971-1974), Royal College of Defence Studies (1977) before being promoted Rear Admiral in 1978 and appointed Flag Officer Commanding HM Australian Fleet. On 21 April 1982 he was promoted Vice Admiral and appointed Chief of the Naval Staff. He was made a Companion of the Order of Australia in June 1984 before retiring in 1985.